Is entitlement culture holding us back? Politicians of the right often used the phrase ‘culture of entitlement’ to attack the welfare state and the poor who depend so much on social support to survive in a world were social solidarity is becoming increasingly scarce. I do not believe that people choose to be poor. Poverty is a reality often caused by circumstances that most individuals do not consciously create for themselves. So demonising the poor will never help to make us a better society. But we can do a lot more to challenge the culture of entitlement and dependency that is weakening our society. In Europe political parties of both the right and the left exploit the natural desire of most people for immediate gratification. The Canadian social psychologist and author Brian Tracy says: “People are neither good nor bad. They are merely expedient. Human nature simply says that people seek the fastest and easiest way to get the things they want right now, with little concern for the long-term consequences of their actions”. This is the driving motivator of virtually all of human behaviour –and political leaders know this. Western democracies nurture the culture of entitlement and dependency among their citizens. Most Western political leaders offer their supporters free money, or money with very few strings attached. I use the word ‘money’ in its broader sense. It really means some easily gained personal advantage that has a value. More and more people will grab this money until it becomes “a feeding frenzy with everyone trying to get more and more money the fastest and easiest way possible”. Most Western societies, especially European ones, evolved in a very predictable way. Every society goes through several phases. Initially a society has ‘frontier’ characteristics – a willingness to take risks by exploring new territory to discover new sources of sustenance. It then moves to the agrarian stage, then industrial, and then it grows in wealth and affluence and becomes an entrepreneurial society. At some stage it “develops so much wealth that politicians think that they have enough to give to their prospective supporters without hurting the overall economy”. Those who studied the classics are familiar with the ‘bread and circuses’ political strategy promoted by the Roman emperors as Rome declined, fell apart, and disappeared as a society. The crisis of leadership Europe is suffering is possibly partly the result of our political leaders succumbing to the easy strategy of making our societies dependent on a culture of entitlement. 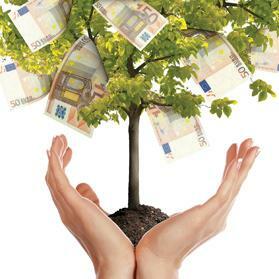 As we all know, money just does not grow on trees. Workers in the public sector in most Western economies defend their privileges to the hilt while workers in the private sector struggle with uncertainty about their future. Politicians often shy away from challenging the unreasonable claims of entitlement to benefits of public sector employees that are not available to those in the private sector. It is this dangerous attitude that is putting at risk the hard won gains of the welfare state. Cultural change is possibly the most difficult element that any political and business leader has to face when trying to put an organisation of indeed a country on the right path to growth and prosperity. European societies are generally more generous to the weak by providing social support to those who cannot do much to improve the quality of their lives. But a sustainable welfare state cannot be achieved just by increasing taxation and spending to satisfy the electorate’s dependence on a culture of entitlement. What Europe needs is a culture built on pride, free, self-responsible, self-reliant, creative and pragmatic attitude to life by those who are able to work. We need to inculcate these values in all our people, especially the young, and hardwire the promotion of industriousness in our social and economic strategies.